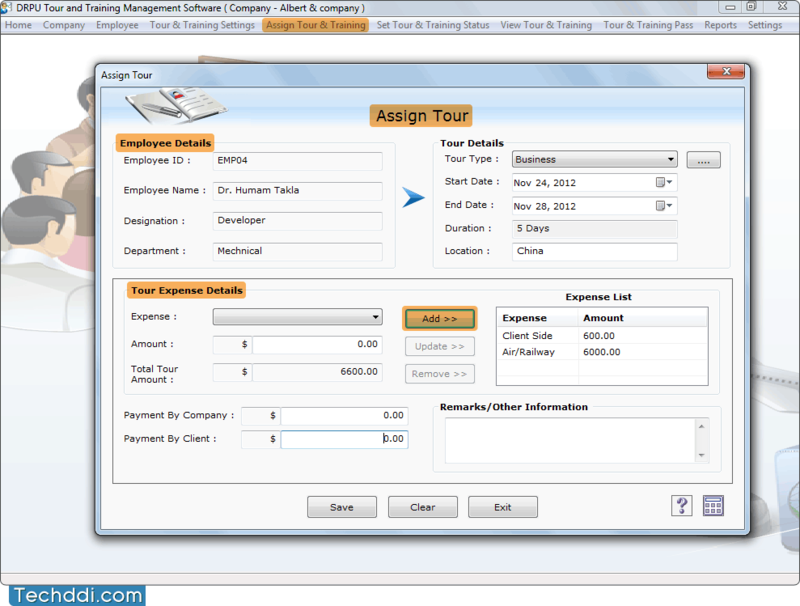 Tour and Training Management Software manages company employee tour and training records. Program generates tour and training pass with option to print Employee Reports, Tour and Training Reports and Company Reports. 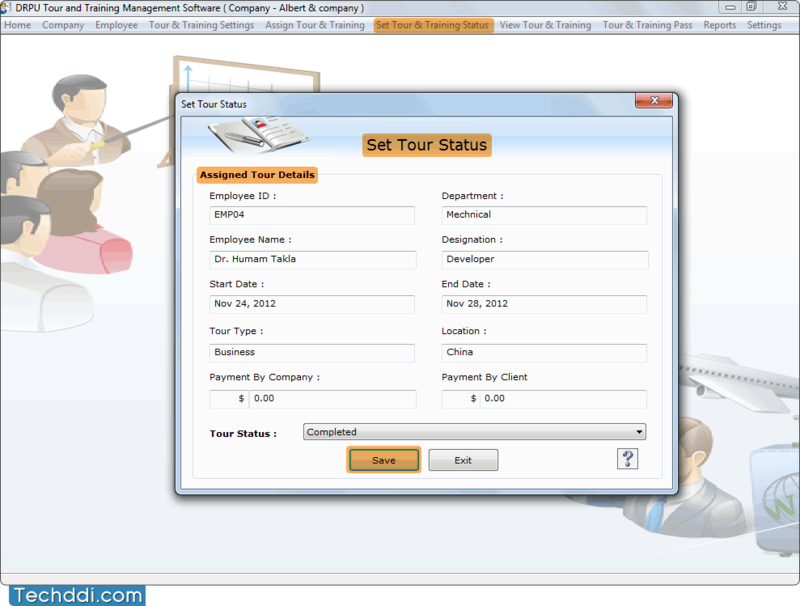 ➤ Software provides option to assign tour & training, set tour & training status, and view tour & training details. 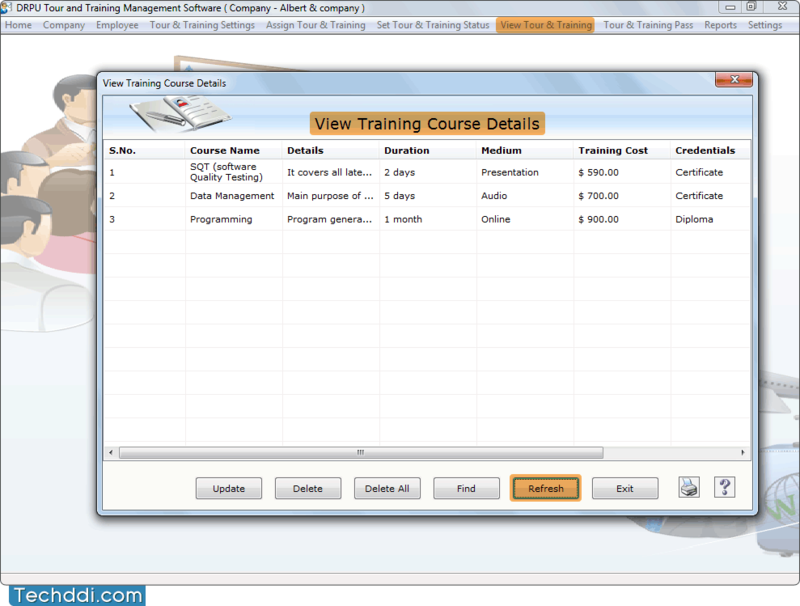 ➤ Easily manages training details of employees with Training Course and Training Provider information. ➤ Keep track of employee tour record with tour type, tour duration, tour expenses details and other tour details. ➤ Password protected feature helps to prevent unauthorized users to access company records. ➤ Data Connectivity feature allows user to connect selected company database records to use its information. ➤ Software provides option to take data backup which can be restored using backup file in case of failure and accidental deletion of original data. To assign tour, fill all required fields and click Save button to save record. Set tour status and click 'Save' button to save tour status record. You can view training course details including course name, details, duration, medium, training cost etc.